The channel was taken down by mid-afternoon Wednesday leaving a message that said it had violated YouTube’s community guidelines. YouTube said earlier in the day it had suspended the channel’s money-making ability upon learning about the arrest and additional action was possible including termination. The 48-year-old remained jailed Wednesday on $200,000 bond. It wasn’t immediately clear if she had an attorney. But last summer, Fragua says one of the woman’s adult sons was filming a video with the children on a pathway behind her backyard. According to Fragua, the children seemed withdrawn anytime they weren’t being filmed. She thought it was odd but never saw anything that seemed abusive. The state agency said it took the children from 48-year-old Machelle Hobson’s home Thursday, one day before her arrest. It cited confidentiality laws in declining to answer questions about Hobson, including whether it had prior contacts with her or prior complaints. Hobson’s last name was initially listed in court records as Hackney, but the Pinal County Attorney’s Office says it has since been corrected. Hobson’s channel has millions of views. She also has related Instagram and Facebook accounts. It’s not known if Hobson has an attorney. This story corrects arrested woman’s last name to Hobson. 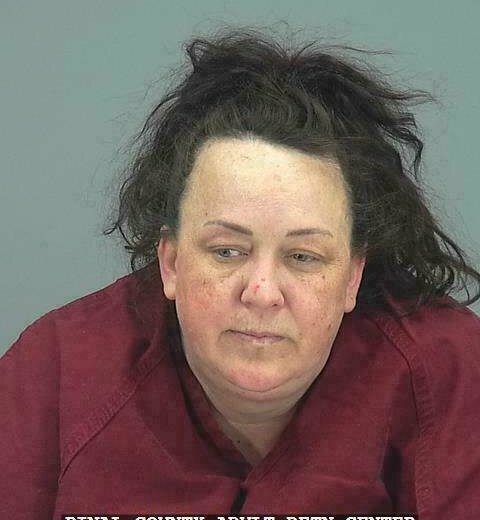 A police report says Machelle Hobson’s adopted children had no food, water or access to a bathroom for days while inside the closet at her home in the small city of Maricopa south of Phoenix.